Former interim Democratic National Committee chair Donna Brazile just signed on as a Fox News contributor. In her new role, she'll be offering political analysis across both FNC and FOX Business Network’s daytime and primetime programming. Brazile is delighted for the new challenge, despite knowing she'll get some heat from her progressive friends. "I'm delighted to be joining FOX News," Brazile said in a statement on Monday. "I know I'm going to get criticized from my friends in the progressive movement for being on FOX News. My response is that, if we've learned anything from the 2016 election, it is that we can't have a country where we don't talk to those who disagree with our political views. There's an audience on FOX News that doesn't hear enough from Democrats. We have to engage that audience and show Americans of every stripe what we stand for rather than retreat into our 'safe spaces' where we simply agree with each other. For there is no safety in self-limiting numbers. You can be darn sure that I'm still going to be me on FOX News. I'm going to do what I always do: and dish it out straight, exactly as I see it, with just as much New Orleans hot sauce as folks expect." She emphasized these points in a new op-ed for Fox News. "My decision to serve as a commentator for Fox News is rooted in the belief that you cannot make progress, let alone reach compromise, without first listening to, and understanding those who disagree with you on critical issues," she writes. Brazile adds that of course there will be tension, but it's healthy for debate. Brazile infamously wrote a book called Hacks: The Inside Story of the Break-ins and Breakdowns That Put Donald Trump in the White House, in which she exposed the DNC's cozy relationship with the Hillary Clinton campaign (to the detriment of Bernie Sanders) and the committee's financial incompetence. 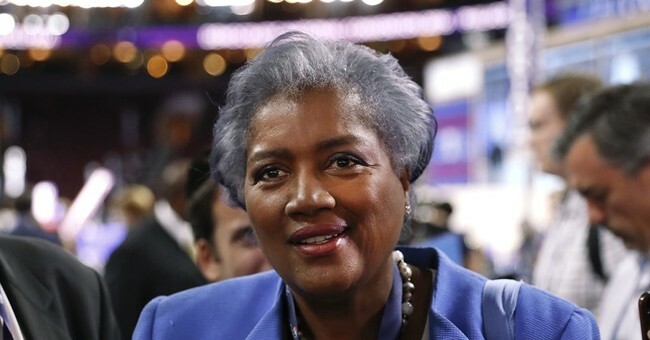 The bias she witnessed "broke her heart," she revealed at a talk in Washington, D.C.
Brazile's announcement comes just days after current DNC Chair Tom Perez revealed that the committee will not be partnering with Fox for the 2020 debates. She will make her first appearance on Fox News on The Daily Briefing with Dana Perino at 2 p.m. ET today.